Our program ensures that your trees and shrubs will reach their full potential during the Summer months. Our deep understanding of plant material allows us to cultivate the best program (and the best trees and shrubs) possible for your property. After gathering knowledge, we use our own knowledge gained from over 25 years of experience to lay out a plan with you. We talk about what treatments we’ll use, where we’ll use them, and what time is best to use them. Not all fertilizers are made equally. Our fertilizers are custom-made for different types of plants, ensuring that we’re giving your plant the type of fertilizer it needs, when it needs it. Unlike other companies, we don’t just come in and lay fertilizer and spray eight or nine times a year. Doing that just does not give you optimum results. Plain and simple. During your free consultation, we set up a customized program with you to help your trees and bushes reach their full potential. We want to know what your priorities for your property are. We don’t blanket spray. We don’t walk around the property spraying every living thing and assuming we’re killing all the bad stuff. That’s the other guys. 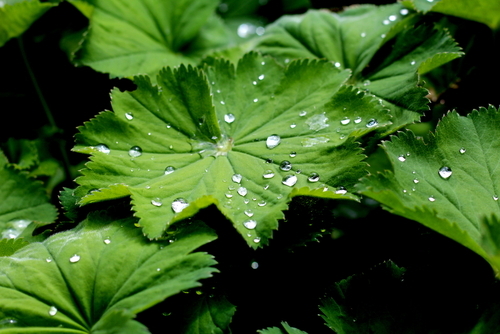 We base our approach solely on your property’s plant material. Some plants don’t harbor insects at all. So why would we spray them? If you’re using a product that has the capacity to kill (even if it’s “just” insects), you have the obligation to use it responsibly. We identify the types of vegetation on the property, and determine which fertilizers and pesticides to use on which trees and bushes. We determine when to use certain fertilizers, when to prune, and when to spray. We’re able to pinpoint problems and target those specific problems at the right time. Organic Solutions Tree & Lawn is not about overkill, we’re about effectiveness. We use different products for different times of the year and for different insect treatment.